This big value JCW Acoustic Screed Foam Pack reduces impact and airborne noise on concrete floors. – Floor area coverage 58.8 m2 approx. 65mm sand & cement screed can be laid directly on top of JCW Acoustic Screed Foam. 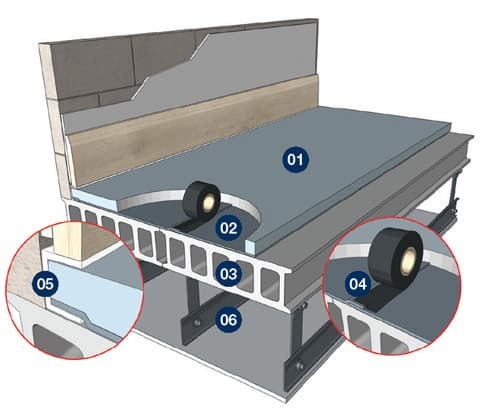 40mm proprietary screeds (min 80kg/m2) require a polythene layer above the JCW Screed Foam, covering the whole floor area, with overlapped and taped joints.